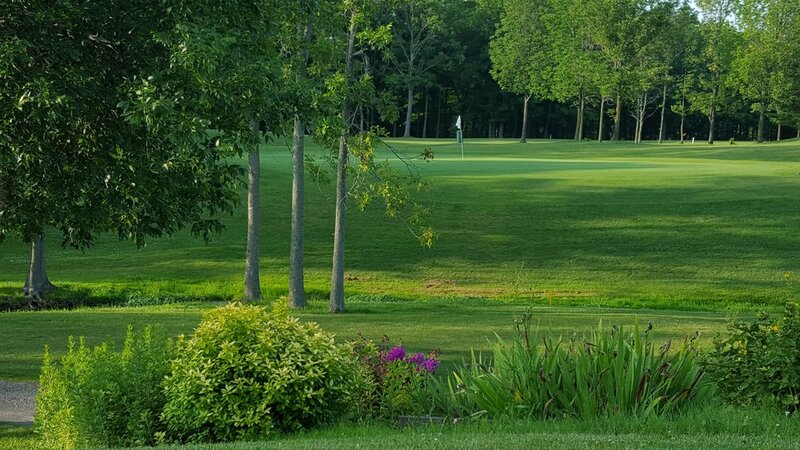 Our par-72, 18-hole course is a scenic and tranquil escape winding through the woods with several elevation changes. There are a few tight holes while most are fairly open. While the course is fair, the seriously wayward golfer will visit the woods often. Warm up before your round on our 300-yard Driving Range. Golf instruction and lessons available. If interested in starting a new league, playing in a league, or willing to participate even as a substitute, call us today. Trying to improve your golf swing? Hickory Ridge offers individual and group lessons available for any and all ages. Lessons for young golfers, ages 9-18, offered during the Summer starting Mid-July, one day a week for 3 hours each lesson. Sign up for our Junior Clinic at the Pro Shop. Our Pro Shop offers an impressive selection of the many prime brands in golf. We stock golf balls, gloves, rain gear, golf apparel, and anything else you need for a day on the course.